The world today celebrates Universal Children’s Day, a day recognizing the rights of children that was instituted by the United Nations in 1954. 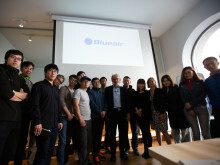 A delegation of 18 Chinese journalists visited the Stockholm head office of indoor air purification leader Blueair as part of a visit to Sweden arranged by prestige auto maker Volvo Cars. 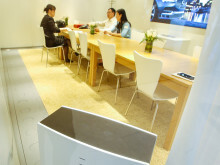 Blueair Pro air purifiers provided visitors to the stunning-looking Volvo Car booth at the Beijing International Automobile Show in late April 2016 with a breath of pure air cleansed of airborne contaminants in meeting rooms. The latest edition of Blueair’s quarterly Blueair Globe magazine is now available to read online. 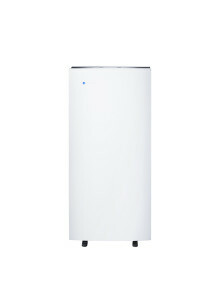 Berlin’s annual IFA tech expo opens to the public on September 5 and this year global indoor air cleaning technology company Blueair unveils new ultra high performance technologies to clean the air of practically all viruses, chemicals and PM2.5 dust. 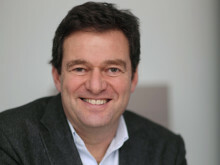 Global air purifier manufacturer Blueair has appointed Henrik Fernsund as Manager Marketing Communication at its headquarters in Stockholm, Sweden.